Admin_PC wrote: So deaths are the only measuring stick? It's not that small of an event environmentally. It is, in comparison with Nepal and India. I take it back, I didn't realize that the monsoon rains were orders of magnitude greater than what Houston's seen. Anyway, it's significant for Americans because it's a record breaking storm around here. Plus, it's happening in one of the areas with the largest number of oil refineries & chemical plants in the country (explosions & fumes already being reported). Why the rest of the world's reporting on it as opposed to India, I have no idea. My remark wasn't helpful either. What Buddhist education imparts is the understanding that compassion is something like a muscle that needs exercise to be developed. 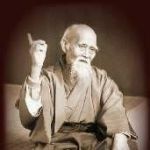 The way I see it done, the sages praise whatever meager effort is made and patiently, lovingly, encourage its extension. Telling someone, "Not good enough" generally has the opposite effect of encouraging the expansion of the scope. This is something I need to work on, too. I have the tendency to lead with critique. No bueno. I take it back, I didn't realize that the monsoon rains were an order of magnitude greater than what Houston's seen. I have personal sensitivity in the mix too, I admit, having seen India's people suffer first hand. Of course our perspective is bound to put loved ones first in our thought. If you hear stats like 41 million affected in India it becomes amorphous, but a few stories about the devastated lives of people like ourselves does hit home. That's a good thing - the media can be very useful in generating some compassion. Queequeg wrote: My remark wasn't helpful either. My targets are the Media. Of course, they must show events close to home...but then perhaps explain that the world is suffering terrible tragedies elsewhere which the US event can lead us to understand. I honestly couldn't tell you what is or isn't seen in the USA. I don't watch news on TV because of the typical rhetoric by the announcers, the common practice of passing off opinion as news, and the effects of the 24hr news cycle - which is often more about entertainment than news. I tend to get my news from what I see linked online or from NHK World - which is pretty balanced. I do know that there has been reporting on the flooding in India by US news stations - usually handled at the national level and I know CNN has covered it. I'm in the UK. So I find it especially odd that hours a day are devoted to US floods when we have a large Indian population. Mantrik wrote: I'm in the UK. So I find it especially odd that hours a day are devoted to US floods when we have a large Indian population. Locally and nationally this story has impact (mainly due to economic & oil-related issues). Internationally, it makes no sense to devote that much time to something when there are much larger tragedies to worry about. Part of it is the "man bites dog" syndrome -- I read somewhere that Houston has quite literally never experienced floods this large, while monsoon floods, causing great destruction, happen almost every year in India and Nepal, particularly since the population has gotten so dense. Queequeg wrote: What Buddhist education imparts is the understanding that compassion is something like a muscle that needs exercise to be developed. The way I see it done, the sages praise whatever meager effort is made and patiently, lovingly, encourage its extension. Another good point in framing it. tingdzin wrote: Part of it is the "man bites dog" syndrome -- I read somewhere that Houston has quite literally never experienced floods this large, while monsoon floods, causing great destruction, happen almost every year in India and Nepal, particularly since the population has gotten so dense. They are exceptionally bad this year, however. The points being made about compassion are sad and, in my experience, not true. People are unaware of the world's tragedies unless the media informs them, and then they tend to be generous and sharing. Maybe the US is different and some people get angry if their media dare to show that they are somehow not the biggest and best, even in disasters, and the need for wider compassion is pointed out to them. I notice that belatedly Trump is reducing his tax burden by chucking some of his money at disaster relief, but I doubt very much that compassion was behind it. He is not known for his awareness of climate change or the need for flood prevention, and I wonder how many of his followers still share his view. In countries where the crops have been destroyed, huge numbers may die. We do need that media coverage to stimulate aid, and if a few people feel nagged, that's tough. I think some the international interest comes from waiting to see if this extreme weather event will change the narrative around global warming and climate change in the USA. Also, maybe because of movies and shows, we identify America as familiar whereas South Asia is strange and exotic. Strange and disturbing weather etc. is expected in strange and exotic places. Re: our large Indian population: the 2011 UK Census recorded the South Asian population as 4.9 % of the total population, excluding other Asian groups and people of mixed ethnicity. If you live in London, it will seem different where in some boroughs, it was as high as 36% (London Borough of Tower Hamlets 36.6% S. Asian) whereas in Northern Ireland it was 0.4 %.